So, the most popular post on this blog, 5 min baby and toddler leggings, has been on the blog for 4 years and has had between 50 and 120 hits per day for the entire time, that is over 65000 hits. So I thought it was time I gave the topic some more love and share some of the other sock to baby pants variations I have come up with over that time. 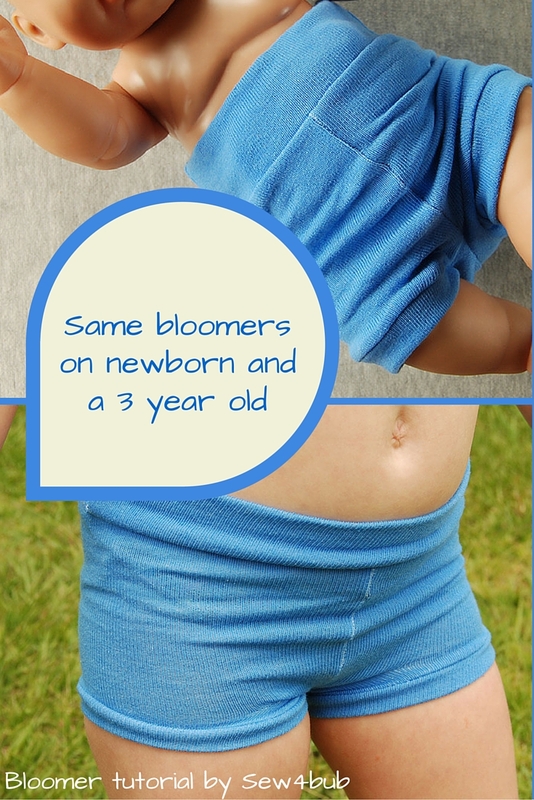 First up is bloomers (or shorts, or nappy covers or whatever you want to call them). These take a little longer to make than the original leggings, about 15 mins as opposed to 5 but they are super cute. They are also made out of standard ladies crew socks which at $2.50 for 2 pairs these little cuties cost just $1.25 per pair to make! 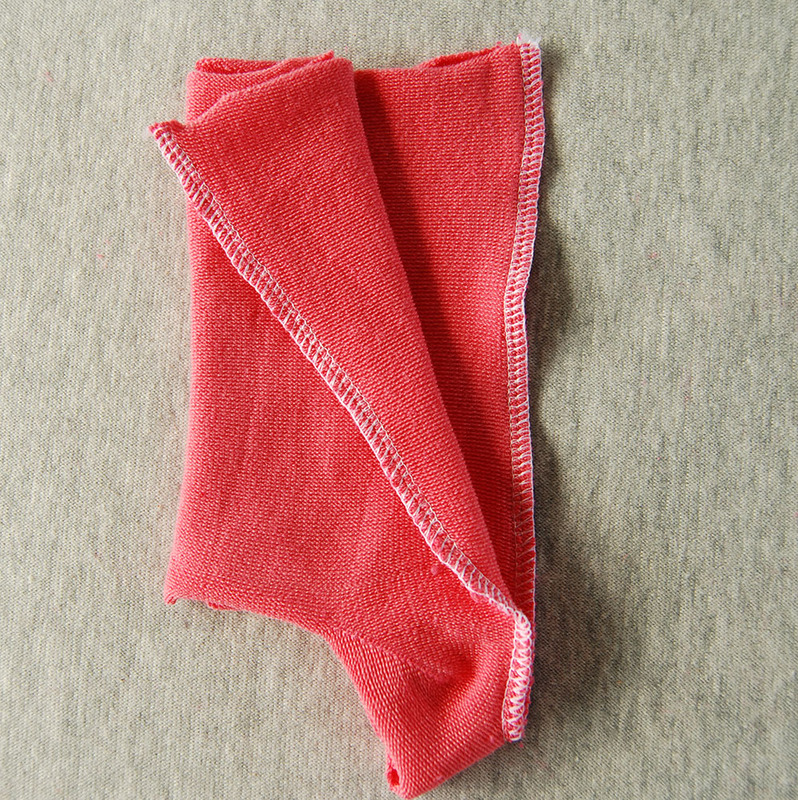 Cut a 4 inch and a 2 inch band off each sock leg – this should leave you with the foot and heel of the sock intact. Take the 2 foot sections. Turn one inside out and put the other foot section inside it, lining up the slit that is going to be the crotch seam – serge or zigzag around that seam. Put the 2 4 inch pieces together right sides facing and serge or zigzag down the short sides. 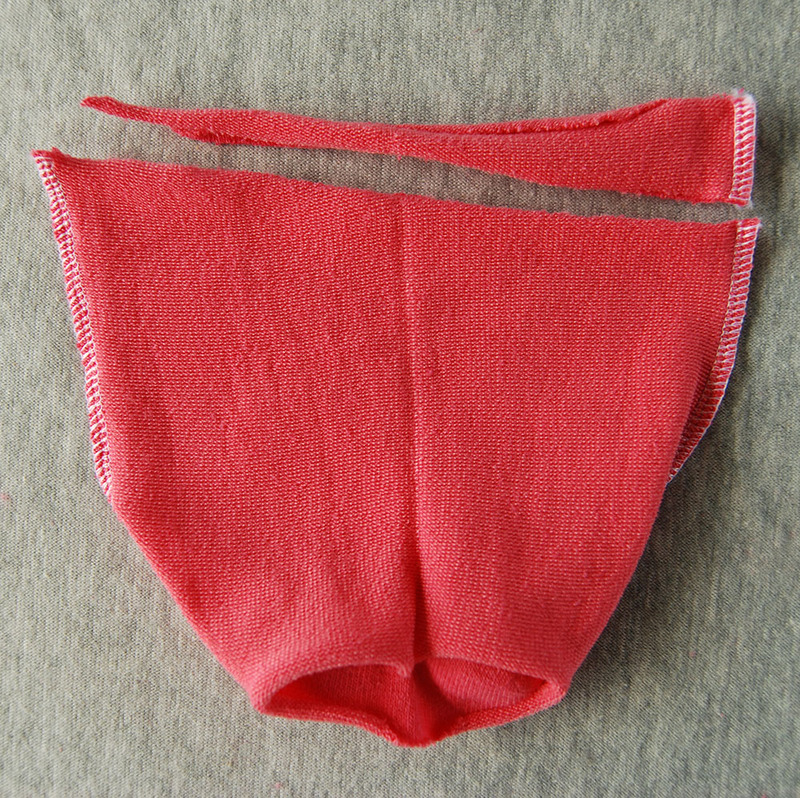 With your pants inside out, place the waistband inside the top opening and line the raw edges of your waistband up with the raw edges at the top of the pants piece. Serge or zigzag through all three layers. 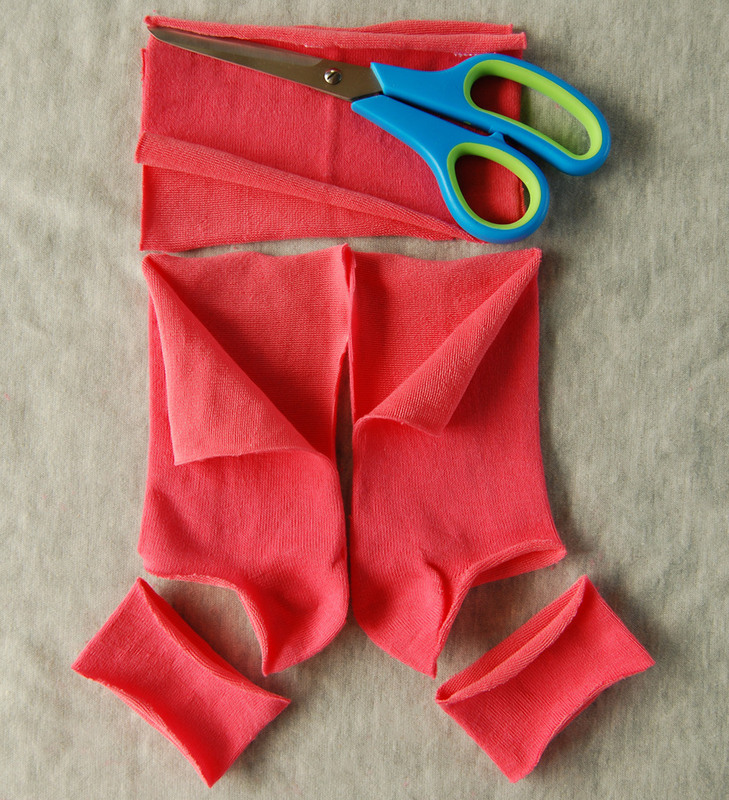 Take your two 2 inch pieces (these are your cuffs) and fold them back on themselves like you did the waistband. Line the raw edges of each cuff piece up with a leg hole on the pants in the same way as for the waistband, and serge or zigzag around the edge through all three layers. These are soft, cute and really stretchy. 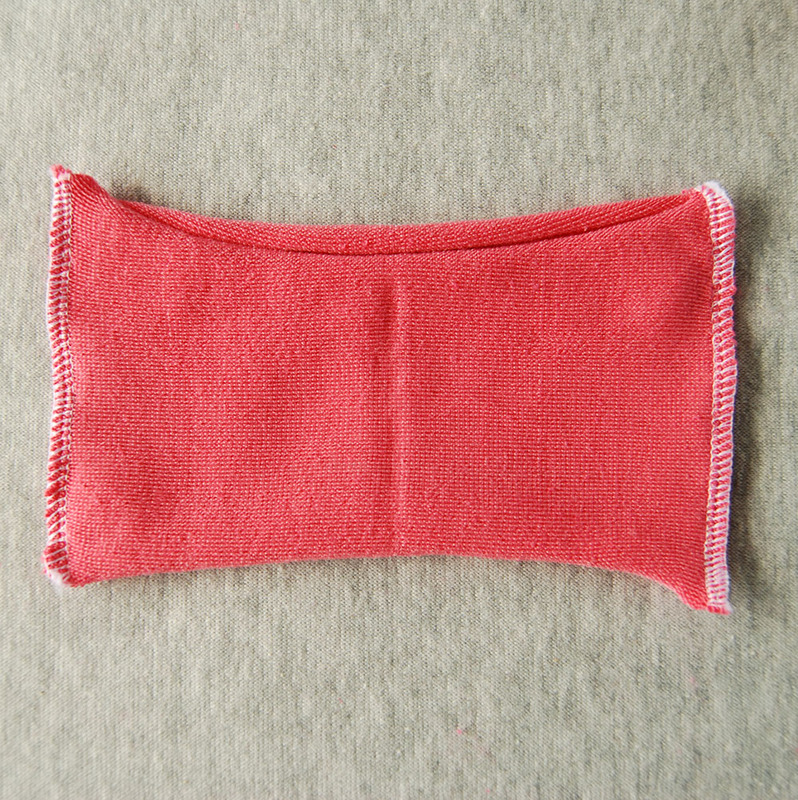 Depending on the socks you use these will fit from newborn right up to 3 years old (without a nappy). The pic below is my 3 year old, we use these under dresses and skirts for modesty. I don’t have a baby in the house anymore, so for your reference, the ‘baby’ in the pics is a 41cm long baby doll wearing a newborn cloth nappy under the bloomers. 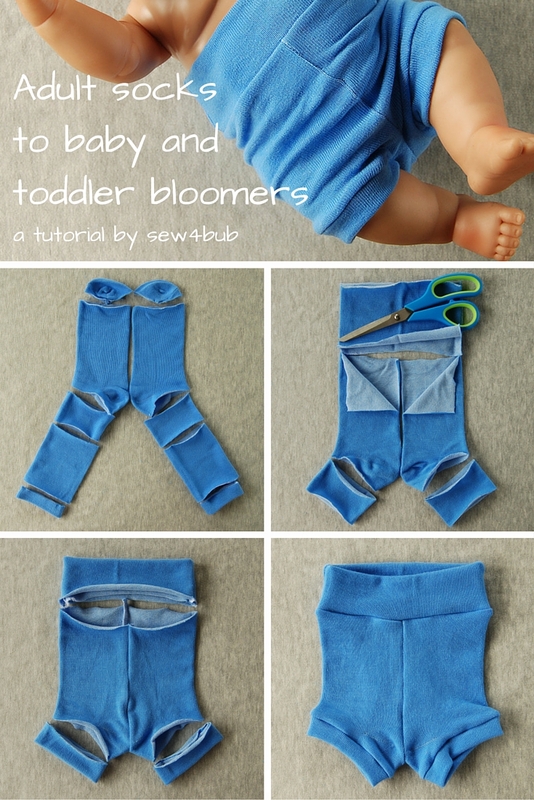 If you make some sock bloomers, be sure to grab some pics and hashtag them #SEW4BUB I would love to see your creations!